To ensure mobile apps to reach more users, an active presence in app stores is needed. iOS App Store and Google Play Store, which has apps compatible with iOS and Android operating systems respectively, are known as two app markets which are given most importance by app developers for iOS and Android operating systems. Research conducted are showing that, by the year 2017, iOS App Store and Google Play Store will become platforms which hold 90 percent of all mobile apps. Investigations that compare these two markets, in turn, shows that while Google Play Store is ahead regarding some downloads, iOS App Store appears more favorable regarding income. 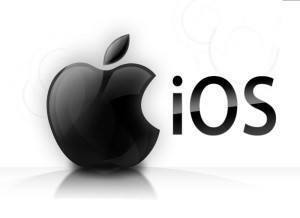 So, what considerations are there for creating an attractive app and becoming successful on iOS App Store? Each mobile user may have their particular reasons for preferring one of these two app markets over the other. So when developing apps, it is necessary to know differences between iOS and Android users, and knowing the target audience carefully. In this sense, you may see that iPhone and iPad users have similar particularities regarding mobile apps. These users, who use more or less the same apps and are in expectations that are close to one another, may feel comfortable with paying to access the other features of an app if they think that app will add value to them. It is stated that this is one of the main reasons for iOS App Store being more profitable than Google Play Store. If you are developing and app for iOS, it bears importance for you to keep track of latest developments with the Apple products. You may decide the design and features of your app according to these developments. Especially knowing the features and differences of newly released products like iPhone 6 and iPhone 6 Plus is of utmost importance for this. You need to form a media plan for promoting your mobile app and make more users aware of it via websites, blogs, and social media platforms. E-mail marketing may also benefit you in this sense. Creating videos, screenshots and other visual materials of your mobile app, and spread this stuff around via e-mails may increase recognition of the app. You may not have been able to get your app known by many people in an instant, but it should not be forgotten that the best advertisement is a happy customer. So, first introducing your app to a small user group consisting of your friends and family, and then asking them to share it with their connections may be a more effective way of increasing your app’s recognition than you think. You too may benefit from the tips we have shared for making your app more visible and more downloaded on iOS App Store. MobiRoller can aid you in creating your app in most effective way thanks to its powerful foundation. You, in turn, can create your apps in minutes without needing any technical knowledge using MobiRoller’s user-friendly interface. Start building your app now by visiting our website.